Our Products - Thermal Labels- Request a Quote Today! 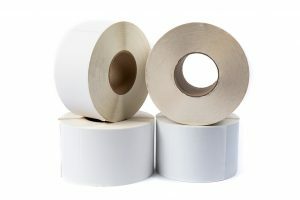 At Buckeye Business Products, we manufacturer a wide variety of thermal labels. These labels are explicitly engineered for barcoding, shipping, packaging, inventory management, and much more. Our labels are made with high-quality thermal face paper to ensure fantastic print quality. Additionally, we are the only manufacturer that makes their own adhesive. Because of this, we can offer both standard and freezer grade labels. All of our labels are manufactured right here in the USA at our 330,000 square foot facility in Cleveland Ohio. 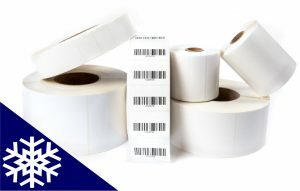 Our labels and ribbons were designed to work perfectly with your Zebra, Intermec, Sato, Datamax, Honeywell and many more thermal printer brands. Whether you are looking for thermal transfer or direct thermal labels, we likely have your exact size and style in stock and ready to ship today. Furthermore, because we are the manufacturer we can produce custom sizes if the quantity is right. Take a look at some of our in-stock products below and be sure to contact us for a quote or with any questions you may have. Save Money On Your Labels By Contacting Us Today ! Thermal transfer labels use a heat-sensitive carbon ribbon that is melted onto the label. These labels are durable for long periods of time making them perfect for long-term storage. 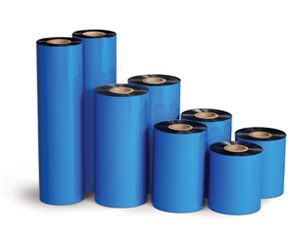 Unlike direct thermal labels, thermal transfer labels always require a thermal ribbon. Direct thermal labels do not require any ink, toner, or ribbons to print. They are perfect for temporary uses like for fast selling inventory or shipping and receiving packages. These labels are cheaper than thermal transfer but still offer high-quality and easy to scan labels. Our Floodcoated Color Labels feature highly calendared, soft matte facestock for maximum printability and reliable error-free scans. 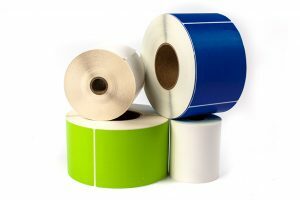 Featuring high bond adhesive, our color labels are ideal for stock rotations, packaging, warehousing and inventory management. 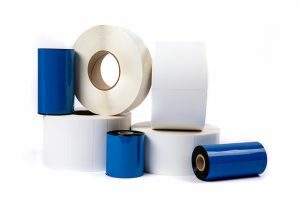 A thermal transfer printer requires a thermal ribbon and luckily the ribbons are inexpensive, effective, and high-quality. Thermal ribbons are melted onto a paper stock with a hot print to create a clear image. 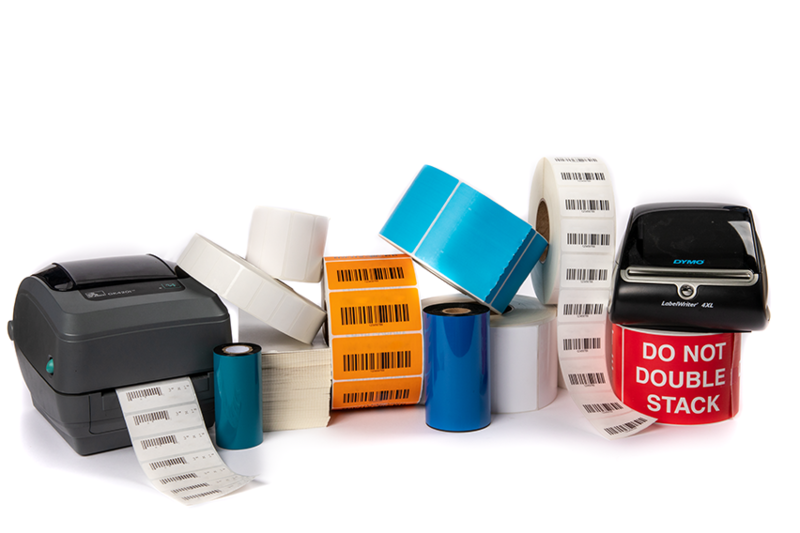 Auto apply labels will increase throughout and save labor costs with 35% more labels per roll. The label is lined with polyester and is thinner and stronger than paper while also being water resistant. The release liner is recyclable, helping reduce water and will save time on roll changeovers.